Several years ago the MPA was victorious in legal action against Usenet indexing site Newzbin but collected nothing when the site went bust. After the site was resurrected the MPA kept up the legal pressure, believing funds had been squirreled away in offshore companies. A few moments ago the studios won a $2.2m judgment. The MPA’s historical case against Usenet indexing site Newzbin was important on several levels, not least that it encompassed the first successful High Court injunction to have a site blocked at the ISP level. It all began with a complaint from the studios in 2008, followed in 2009 by legal action. A year later Newzbin was found guilty of copyright infringement and soon collapsed under its £230,000 ($386,300) debt to the Motion Picture Association (MPA). Shortly after and without a penny paid to the MPA, the site resurrected in the form of Newzbin2, an act which further infuriated the studios. 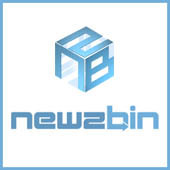 Eventually Newzbin2 also shut down, partly because receiving money from users had became impossible after the MPA sued Kthxbai Ltd, the site’s payment processor. And here’s why the case refused to die. In 2012 it was revealed that Kthxbai’s sole director was David Harris, a barrister who defended Newzbin in the site’s original trial but had stepped down when it was discovered that he was actually the owner of Newzbin. 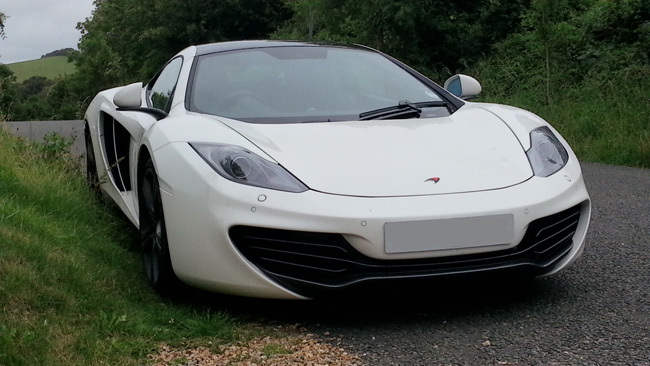 Not only did the MPA then go after Kthxbai and Harris, they also targeted the NZB Foundation, a Panamanian company that owned Harris’ home, and Motors for Movies Limited, a company that owned Harris’ McLaren car. The MPA said that the £230,000 they were owed from the original Newzbin case was hidden away in these offshore companies. Harris denied that, adding that the NZB Foundation was a legitimate entity created with copyright reform and Usenet R&D in mind. Furthermore, the MPA said that Harris and former Newzbin operator Chris Elsworth were behind the transfer of source code and databases from the collapsed Newzbin 1 to new kid on the block, Newzbin 2. Thickening the mix further still, the MPA claimed that Harris was none other than Mr White, the shadowy operator/spokesman of the Newzbin2 site. But despite the big allegations the MPA’s first major bite against Harris and the offshore companies came to nothing. Last year a judge in the High Court ruled that the the studios were not entitled to the profits Newzbin2 had generated from piracy. Following this ruling, Harris says that Newzbin 1’s Chris Elsworth settled with the studios (Twentieth Century Fox, Universal, Warner, Paramount, Disney and Columbia), providing them with behind-the-scenes evidence in the process. “Elsworth was once a co-defendant but cut a deal with the MPA on grounds he provide evidence against me,” Harris told TF. The MPA were clearly going to run to the bitter end with their case and today they reached their goal. In a judgment handed down a few moments ago, David Harris was found liable for the copyright infringing acts of both Newzbin1 and Newzbin2, as well as conspiring to injure the interests of the Hollywood studios by unlawful means. As a result, Harris is ordered to pay £1.3m ($2.2m) by May 30, 2014. “I’m naturally very disappointed with the judgment of the High Court if not entirely surprised. I am examining grounds of appeal and I maintain that I have done nothing wrong,” Harris tells TorrentFreak. Harris said that when he took over Newzbin1 his intention was to transform it into a service that was no longer “wildly unlawful” but one that would still be attractive to users. He also stands by his actions in processing payments for Newzbin2. “Notwithstanding the judgment of the court it remains my view that Newzbin2 operated lawfully as did my own payment company which took Newzbin2 subscription payments. I am fully convinced I was legally and morally entitled to act as I did,” Harris explains. Despite the big ruling against him, Harris says he remains committed to the ideals of Newzbin and still has plans for the site’s former users. “I intend to rebuild that community and to develop services for them; but given the consistent history of legal defeats we’ve had those services will have to be carefully designed, with good independent legal advice, to ensure that there are no future legal risks to me,” he concludes.